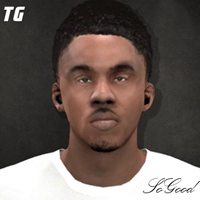 NLSC Forum • MyCareer GOATS : Greatest of All Time Series. MyCareer GOATS : Greatest of All Time Series. Re: MyCareer GOATS : Greatest of All Time Series. You guys can follow the series by watching the playlist in the 1st post. I plan to some version of Chris Smoove also. NBA 2K13 and 2K14 Chris Smoove were amazing and I still go back and watch them occasionally. DaCrispy wrote: NBA 2K13 and 2K14 Chris Smoove were amazing and I still go back and watch them occasionally. I wanted to do Chris smoove but this series never got enough interaction for me to consider doing another episode. I have to rewatch an entire year of videos for each episode I make, because I recap the series.